Dramatic angles! Stairs! Fancy carpets! Vaguely-described sinister things afoot! 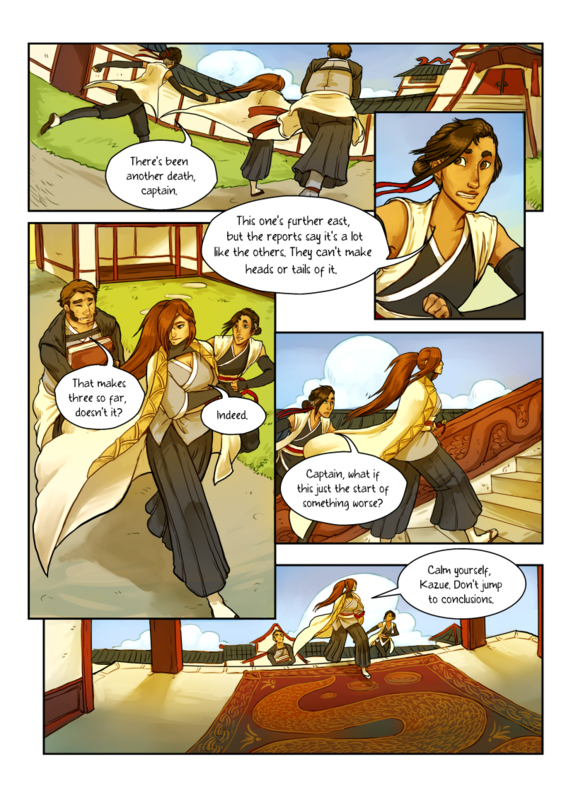 You know, if I ever do another Single Sentence Scrutiny blog post, I’ll call Grassblades my favorite webcomic featuring people walking up stairs, in dramatic fashion.